Learn men's haircuts and techniques with Jay Mahmoud of Allilon's online barbering videos. 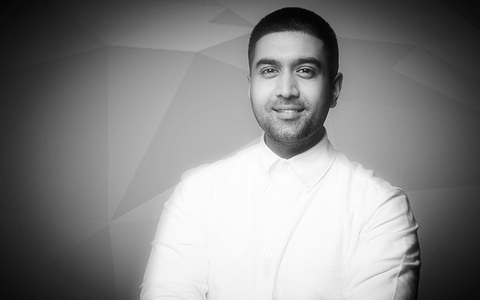 Jay Mahmood’s hairdressing career began in 2000, when, at just 16, he joined Vidal Sassoon. After a three-year apprenticeship, he qualified and worked as a stylist in various Sassoon salons. His passion was always to share his skills and knowledge with others, so at the age of 21 he joined the Sassoon Academy Team, progressing to Senior Educator, heading several courses and managing one of the Sassoon Academies in Central London. After 11 years, it was time to grow further and in January 2011 he became the Principal of Allilon Education. Allilon appealed to Jay as it is a young, ambitious and exciting brand that is forward thinking and not afraid to push the boundaries of creativity. Jay Mahmood demonstrates a classic men’s haircut featuring flat graduation and a parting. The final result is a quintessential flat graduated shape with a defined side parting. This is an interpretation of a classic look on very lively hair.